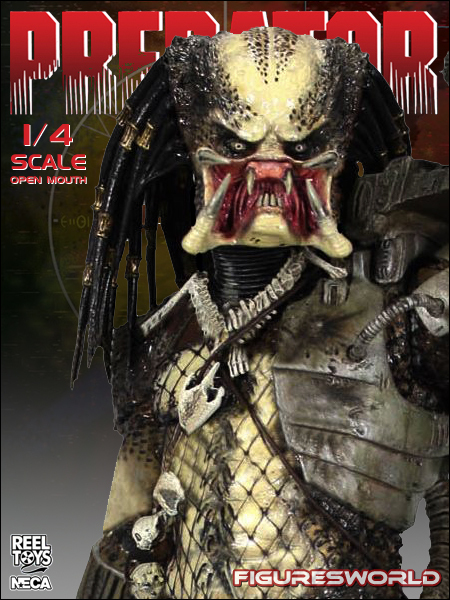 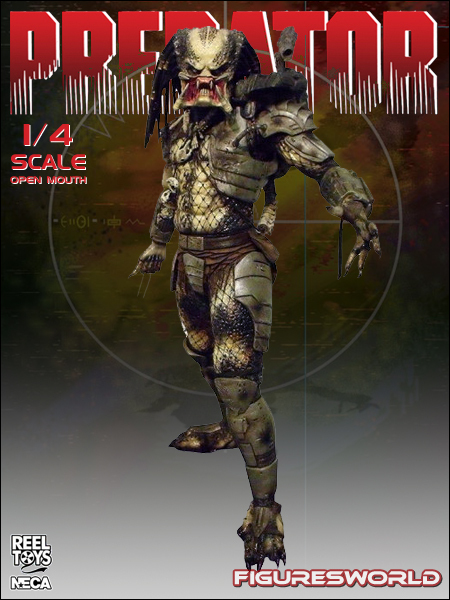 NECA 1:4 Scale Classic Original Predator. 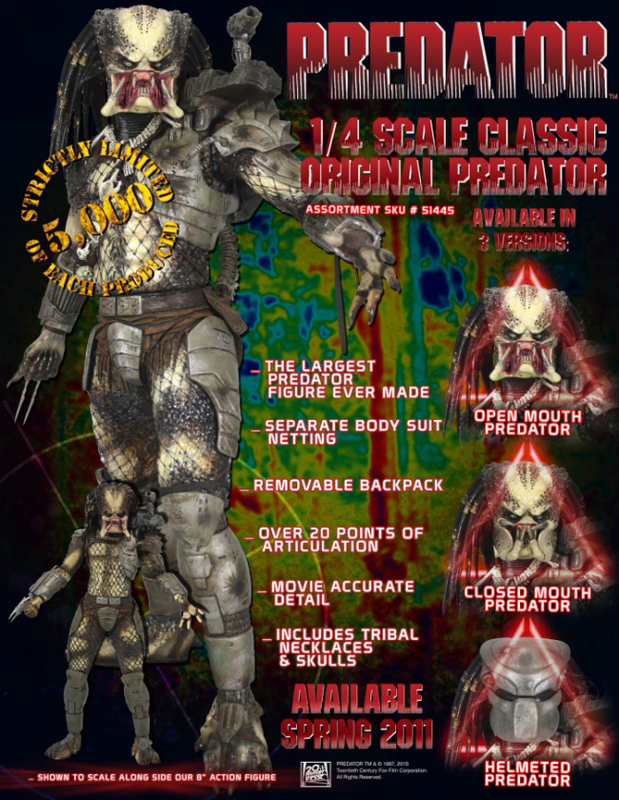 This Predator is the largest Predator figure ever made and based from the 1987 movie with Arnold Schwarzenegger. 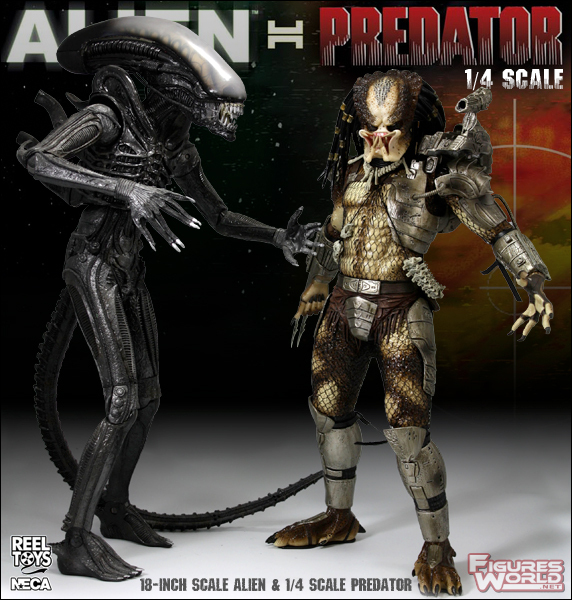 This 19-inch figure comes with over 20 points of articulation, movie accurate details, removable backpack and tribal necklace and skulls.